Do you want to spam others comment section with your personalized comments? Do you want your comment to end up in spams? I bet you don’t. Commenting is a great way of building backlinks along with increasing traffic to your blog. If done in the right way, it may bring a good amount of traffic to your blog and increase your earnings. There are some points which you must keep in mind while commenting on other blogs. Read the article first. To become a good commenter, you must read the article. Reading will ensure that you will put up a comment relevant to the article. A good commenter always ensures that what he writes is in accordance to the post. Do not do it for link building. If you think to comment as a link building, you will end up writing Hi!! Hello!! comments on other blogs. Instead, treat it as a way of building the relationship with the author of that blog. Do not write one-liners comments like “Nice post, keep up the good work!!”. The chances are that the author will not even notice your comment. I personally delete all those one-liners comment that says “nice post buddy”. I know the article is nice for me otherwise, I would have not published it. Are you CommentLuv enabled blog lover? Perhaps you search for ComemntLuv enabled blogs for building backlinks. However, most of the blogs are no-follow, that means they do not pass any juice to your link. Hence, it’s not a good strategy to search only for CommentLuv enabled blogs. Instead, you can comment on any blog with WordPress, ComLuv, Disqus commenting system where they allow links to your blog. Stay focused on your niche. You run a blog on bodybuilding and end up writing a comment for backlinks on a technology niche, then perhaps you are doing it wrong. Google asks for the relevance of links to your blog, and how is that technology niche link is relevant to your bodybuilding blog? So, commenting on blogs having that same niche as yours is a must. Do not put links in your comments. (unless its Wikipedia). There is no need of putting one or more links in the comments unless you have the reference for some highly reputed blog. Moreover, you might end up in spam. I have noticed that the default Blogger commenting system puts up a comment in the spam folder if there is a link in it. Almost all other commenting system does the same. So, be careful. You may select blogs that generate a backlink automatically from your blog feed to not to waste your time. End up asking for suggestions. It’s a great idea to end up your comments with queries or suggestions. This improves your credibility as a blogger and will compel the author to reply to your comments. Be the first. The first comment will always stay at the top. If there are 100 comments on a post, I am gonna read the first one and the last one. The last one will keep on changing, so you have to be the first. You can do so by subscribing to the feed of various blogs of your niche and then when there’s a new article published, be the first one to comment on it. Do not criticize. Constructive criticism is always welcomed by all bloggers. If the author missed some points, you can add them in comments. If you want to suggest something you can. However, you should not criticize the author directly. No one keeps a comment of his criticism. It will be deleted or not approved. Trust me. 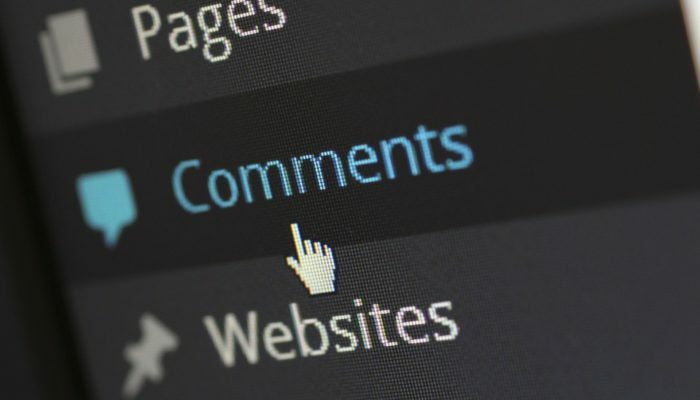 Commenting is a great way link building and building reputation in the blogging world. Writing up a good comment will ensure traffic to your blog and stay away from the myth of commenting on CommentLuv enabled blogs only. These points are the basics of commenting. If you want to add some more points to “how to become a good commenter”, please use the comment section below.